Getting your dirt bikes across the country can definitely present a challenge, especially if you lack the transportation equipment. The most common solution is obviously going to be a trailer, but if isn’t feasible, your next best option would be a motorcycle shipping service. One thing we would like to mention, is that there are plenty of different reasons for which you might want to consider using a motorcycle transport service. You might be moving across the country, you might be putting your bikes into storage, or maybe you need to get your bike to the track for a completion. Not everyone can afford their own trailers you know! It doesn’t matter what your purpose is, you know that you need to get those bikes to their destination and you need to do it as soon as possible. That being said, choosing the right service for transport is essential. Finding the right service definitely presents some challenges, and the first thing you’ll want to do is make sure that they have experience. We can claim experience in not only the shipping of motorcycles but also virtually any other type of personal vehicles. We understand that when you are planning to ship your vehicle across town or across the country, you expect it to arrive in the same condition that it left. That means no new scratches, no dents, and most importantly, no extensive damage. This might seem simple but when you’re considering the distance between the departure and the destination, you know that anything can happen. 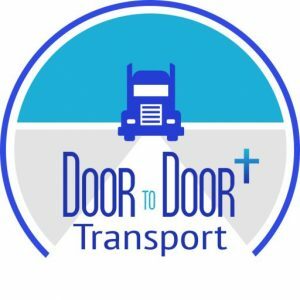 Door to Door transport has the experience you’re looking for when it comes to a good transportation company. We are able to move the vehicle carefully, safely, and efficiently – that includes motorcycles. Unlike many other companies we make careful use of straps or chains to keep the vehicle secured to the transport container, and we also take care to use padding between the chain and the body of the vehicle to ensure that friction does not cause any unsightly scratching or denting as the transport vehicle shifts during the journey. As the top motorcycle transport company, we’re dedicated to making sure the trip is not only satisfactory, but quick. These are obviously three very basic points and you can be rest assured that Door to Door Transport embraces all of them fully. You don’t want to go with a company that doesn’t, you can trust us on that part! When working with motorcycle carriers you will need to do your part to make sure that that the transit is successful. First of all, it will be your job to be present for the inspection and help to take note of any pre-existing damage that might or might not exist. Once this inspection is complete, the information can be used to determine whether or not the dirt bike(s) made it to the destination unscathed. We can guarantee that it will, but it’s always nice to have the information! This is an outstanding service that will play a key role in making sure that your dirt bike actually makes it to the destination on time while taking a considerable amount of pressure off of you. If you’re ready to take advantage of our outstanding service, all you need to do is head over to the main part of the website and fill out the form, getting the quote you need and the assurance that your bike is going to get across the country, across town, or anywhere in between. If you have the bike and the need, then we have the skills and the experience.